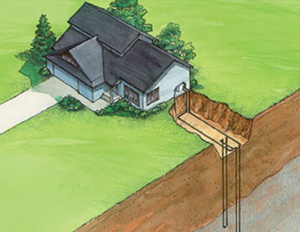 Winslow Pump & Well, Inc. is a local family owned and operated Southern Maryland residential home artesian well digging, drilling and submersible pump installation contractor. 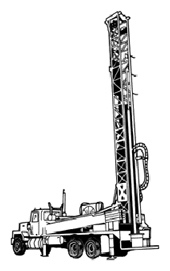 Established in 1986, Winslow Pump & Well, Inc. entered the Geothermal Technology industry in 1989. After attending several manufacturers’ schools and certification programs, we have since been hosting the loop field design installation part of the course for local heating and cooling contractors. In 1992, we formed a Geothermal Division within the company and began installing geothermal commercial systems in various states along the East Coast. We promote alternative energy consumption and are installing residential home geothermal systems and take great pleasure in providing a quality product while protecting our environment for future generations. Winslow Pump & Well, Inc. are certified installers of artesian water wells, submersible pumps, pool heaters, dehumidifiers, flushing heat pumps, purging heat pumps, geothermal heat pumps, geo exchange heat pumps, ground coupled or GHP heat pumps, HVAC heating and cooling systems or geothermal water heating systems in the following areas of Washington DC Virginia and Maryland: Anne Arundel County, Prince Georges County, Charles County, St. Mary’s County, Calvert County, Queen Anne’s County, King George County, Stafford County, Spotsylvania County, as well as La Plata, Waldorf, North Beach, Chesapeake Beach, Fredericksburg, Vienna, Manassas, Alexandria, Arlington and Fairfax. We continually lecture and deliver training on geothermal awareness for local utilities (BG&E; PEPCO; SMECO; VA Power), trade organizations (IGSHPA, or International Ground Source Heat Pump Association; International Live TV Teleconference; National Ground Water Conference; ASHRAE Engineering Convention; and Maryland-Delaware Water Well Association Convention; USGBC Southern Maryland Chapter of Maryland Chapter of the U.S. Green Building Council), and the general public (via open house, field days and trade fairs). In addition, we play an active part in the Maryland permit laws, Delaware regulations for geothermal horizontal, vertical, closed, open pond loop field systems, and the National Ground Water Certification Exam. Geothermal cost savings can be increased by geothermal energy incentives, available from federal, state, local, and utility sources. The energy cost of geothermal versus conventional HVAC systems will always be lower — and the geothermal system will always be greener. Maryland and Virginia have state rebate programs, and renewable energy tax credit incentives for geothermal systems. Other sources include DSIRE (or database of state incentives for renewable and efficiency). or to hear more about Geothermal Systems & more, Click Here. 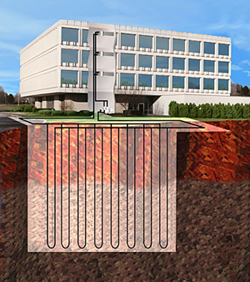 Winslow Pump & Well, Inc. specializes in a vertical, closed loop, geothermal loop field which consists of a loop field containing vertical geothermal wells and a horizontal manifold system. The vertical geothermal wells are constructed by digging or drilling a 4 to 5 inch 200 foot vertical hole inserting two 3/4" polyethylene pipes joined at the bottom with a "U" bend fitting, and the annular space backfilled with Bentonite (clay) slurry to seal the polyethylene pipe in place. The Bentonite slurry allows heat transfer while protecting ground water from surface contamination. Utilities offer rebates to customers who purchase GSHPs. Our commercial division is licensed in Maryland, Delaware, Virginia, North Carolina and Florida. The Department of Energy (DOE), the Environmental Protection Agency (EPA), Army, Navy, Air Force, Coast Guard, Homeland Security, have endorsed Ground Source Heat Pumps (GSHPs) as a cost effective, energy efficient, and environmentally friendly way of heating and cooling buildings. Being very flexible, delivering quality air-conditioning and heating, on demand, year around they are appropriate for new construction as well as retrofits of older buildings and a good choice for schools, high-rises, government buildings, apartments, and restaurants or any commercial property. Ground Source Heat Pumps are the smart choice for commercial applications since their development and demonstration is a green alternative and use lower fossil fuel carbon footprint while lowering operating and maintenance costs, are more durable, and conserve energy. 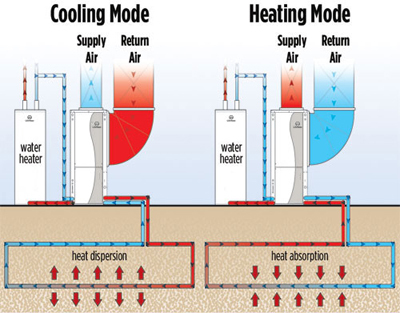 or to learn more about Geothermal Systems & more, Click Here. Winslow Pump & Well, Inc. can give you a selection of wells to choose from to meet your demands, needs and budget. Pumps are rated in horsepower and gallons per minute with a wide selection to choose from. We will offer you a selection of options with pricing and advantages of each. or to learn more about Water Well Systems, Click Here.